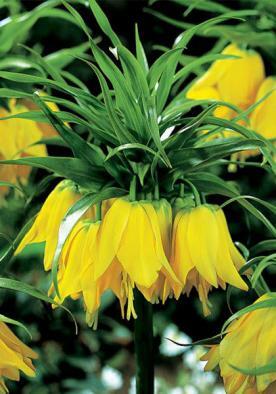 An abundance of dainty tangerine yellow blossoms, usually 15 to 20 flowers on a bulb. 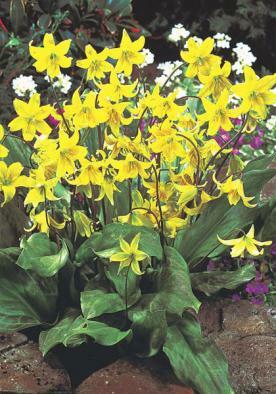 Producing an abundance of flowers from a single bulb, Golden Bunch has blossoms of dainty yellow. Crocus is a genus of about 75 species. It is a native of the Mediterranean and gets its name from the Chaldean word for saffron. 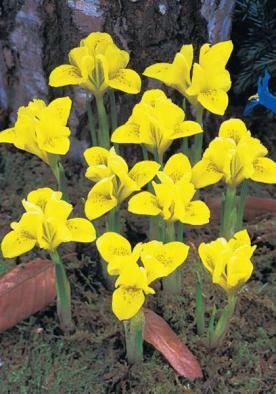 The flowers are usually borne singly and have three inner and three outer segments which create a globular appearance. During dull weather and at night they stay closed up to protect their nectar for butterflies and bees which visit on sunny days. 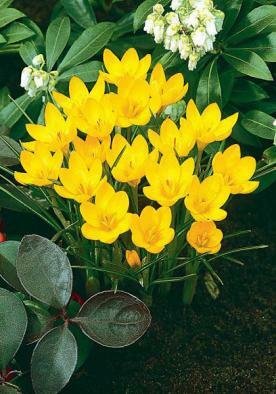 If left undisturbed, crocus increase rapidly creating a carpet of radiant colours from self-sown seed as well as the natural multiplying of the bulb.